A grey computer keyboard with a blue "to measure is to know" button. Email newsletter marketing definitely isn’t dead. In fact, it’s just as viable of a platform for marketing as ever. The most recent studies by the Direct Marketing Association found that the average return on investment for email was around $25.80 for every dollar spent on the platform. Perhaps most impressively, 8% of companies are directly able to attribute more than half of their total revenue to newsletters. While it’s clear that outstanding email newsletter content is key to success, there are myriads of other factors which can affect your results. Are the majority of emails you send bouncing back to you? Is your spam complaint rate so high your messages aren’t even being read? To help you determine the success of your efforts to date, and improve your results, we’ve compiled a list of the 10 newsletter content metrics which matter most. Whether it's Mailchimp or Aweber you are using to send emails - these metrics must be tracked! Hard Bounces: When an email cannot immediately be delivered because the address is invalid or closed, it’s known as a hard bounce. Soft Bounces: Server issues or full inboxes can both be the reason for soft bounces. Most mail platforms will continue trying to deliver a message which soft bounced for 72 hours, after which time it becomes a hard bounce if the efforts are unsuccessful. HubSpot research has found that the average email list expires at a rate of 25% per year, as people change jobs and abandon their work addresses, switch email platforms, and opt-out of communications. This means that regularly “scrubbing your list” for invalid contacts, using a tool like XVerify is critical. A high percentage of bounces can actually affect the success of your future newsletter content. Modern email platforms are particularly sensitive to spam, which has increased the importance of a metric known as sender score. Immediately removing invalid contacts after each email can ensure your messages aren’t headed straight for the spam folder. This newsletter content metric determines the percentage of messages which ended up in your contacts’ inboxes. While the formula above allows you to determine the health of your list, it doesn’t take into account a low sender score. If you’re utilizing a platform that doesn’t calculate delivery, keep a close eye on whether you’ve been flagged for spam by using Return Path’s free tool. Vaughan reports that 95% is considered close to ideal for delivery rate. If you experience a sudden drop, consider whether your most recent communications could have triggered spam filters. Words and phrases closely tied to spamming, including “free,” “earn big money” and “pennies a day” can make your messages look like spam to email platforms. Represents data about spam complaint rate. This metric is a measure of how many of your emails were marked as spam by the recipient. Unfortunately, every company will experience spam complaints following an email newsletter send. As Blogger Kristi Hines points out, “there are tons of reasons someone might do this.” The spam complaint’s impetus could range from the totally controllable, like emailing irrelevant newsletter content, to the not-so-controllable, like when someone is having a terrible day and can’t be bothered to initiate a formal unsubscribe request. Complicate Your Opt-in Process: Sometimes in the marketing realm, the complicated path is the better one. Initiating a double opt-in process, where your new contacts are required to confirm their subscription to your list by clicking a link sent via email, can help you add quality contacts. Manage Expectations: The opt-in process is the perfect time to inform your new contacts how often they can expect to receive your communications. You can communicate this information on the subscription form, or in an automatically-generated welcome email to new contacts. Send Less Newsletter Content: How often should you send email newsletters? Well, that depends on the volume of content you create and the length of your company’s sales cycle. With rare exceptions, sending more than once weekly can irritate your contacts. Your growth rate is the measure of new subscribers who opt in to your communications over time. Generally, you’ll need positive growth of 25% annually just to maintain the same number of subscribers, due to opt-outs, and abandoned email addresses. While creating incredible email newsletter content that contacts want to forward and share can explode your total contacts, this metric is also a measure of the overall health of your marketing strategy, and how well you’re promoting email. The percentage of total email contacts who open your email communications, as opposed to deleting the message or banishing it to the depths of their inbox, is known as open rate. To be fair, it’s a slightly controversial metric and there is healthy debate among marketing experts about how well it actually measures the success of your newsletter content. As Pamela Vaughan of HubSpot highlights, this metric is often lower than reality due to the fact that an email is only counted as opened if a contact receives the images in the message. Many major email platforms, including Gmail, automatically block images. Really invest in subject lines: Without question, your email subject line is the most important piece of newsletter content you write. It needs to convey the value of your information without overselling what you have to offer. Provide exclusive benefit: People love exclusive deals, discounts, and content offers. Consider offering your email subscribers a first look at your new eBook or whitepaper to entice opens. Use great alt text: In most email platforms, your alt text displays unless a contact chooses to open your images. There’s little motivation to explore further if your images are called something like “file 1984.” Use vibrant and descriptive alt text instead. If there were a single metric which revealed the health of your newsletter content, it would be click rate. This is a measure of how many people who received your message chose to engage with the content by clicking through to your website. Personalize: Most major email platforms allow you to personalize your communications with your contacts’ first names. This factor has a larger effect on click-throughs than any other element. A/B Test: You may be surprised to learn that subject lines can affect your click-throughs, too. Optimizing the content of your email body by segmenting your list into two equal groups and A/B testing van allow you to connect well with your subscribers. Experiment with Timing: Are 9am emails getting terrible click-through-rates, which weekend communications thrive? More importantly, do you know which times work best for your contacts? Experiment with different times, which can have an enormous effect on click-throughs. For more insights on email timing, check out Choosing the Best Time to Send Email to Your Subscribers. Sharing rate is a measure of how many of your subscribers choose to forward the email to a friend. You know you’ve really nailed your newsletter content when your subscribers feel its valuable enough to share. Not only will you receive free publicity, there’s a high chance the recipients will choose to engage with the forwarded message because they trust the sender. Few studies have been performed on average or typical sharing rates, and this metric cannot be calculated manually. 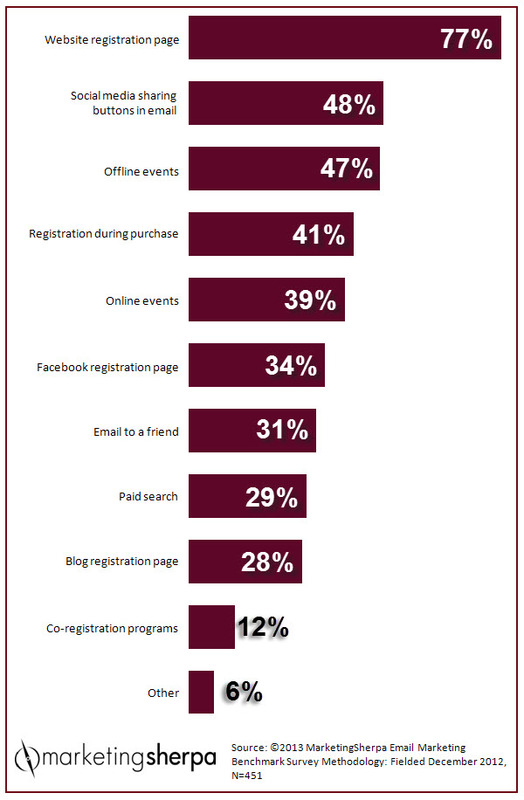 Most major email marketing platforms measure this metric. Strive to emulate the newsletter content used in messages that experienced a higher-than-typical sharing rate. When a subscriber clicks-through to your website from your newsletter content and makes a purchase, this revenue can be clearly tied to your email. Revenue per email is not an important metric for every company. As email marketing consultant Jeanne Jennings emphasizes, revenue per email is not always correlated with click rates. The newsletter content which people read and share may not be the same as the communications which drive people to purchase. The total percentage of email recipients who click-through your newsletter content and convert into leads on your website is conversion rate. Given that a typical email conversion rate is around 2.89%, it’s important to include a link to a landing page in almost all newsletter content. Don’t miss out on opportunities to gather new leads. If your conversion rates are low, particularly compared to your open or click-through rates, the problem likely lies with your landing pages, not your newsletter content. It’s critical to note that not every email platform automatically removes unsubscribes on your behalf. Campaigner and others require you to manually remove these addresses after each send. US marketers have two weeks to honor unsubscribe requests, according to stipulations set in place by the US Federal Trade Commission. Unsubscribe rate is the percentage of people who received your communications who chose to opt out of receiving newsletter content from you in the future. Virtually all email marketing platforms calculate this metric on your behalf. While it may seem easy to feel offended at each subscriber who chooses to opt-out of communications, remember that unsubscribes can occur for a variety of reasons, and they’re certainly better than receiving a spam report. Excessive emailing: It’s no secret to marketers that excessive communications lead to list attrition. If you’re sending your newsletter several times a week, your list growth will probably slow as a result. Poor Email Design: Not only do your messages need to look professional, they need to look great on screens of any size. An estimated 45% of email messages are now opened on a smartphone or tablet, meaning that mobile-optimization is critical. Too Little Value: What’s in it for your subscribers? Your newsletter content needs to provide clear and significant value, each and every time you send. This could be an eBook, a round-up of your best blog articles, or a discount. If you’re just promoting your content without a clear point, you could receive a huge volume of unsubscribes. 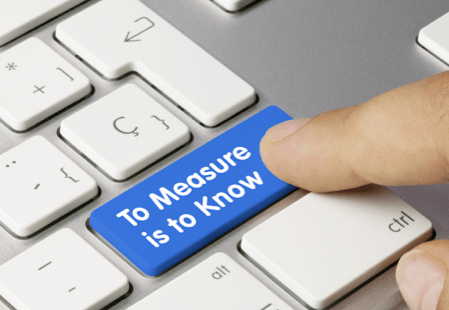 How do you measure the success of your email newsletter content? Which are your favorite newsletter marketing metrics? Kyle, this was one of the most useful articles I’ve read about e-newsletter metrics. Thank you! Very helpful list, thank you! You mentioned Mailchimp, what is your opinion? I am looking for software to manage 500 emails database. Maybe somebody here could recommend something? Well, Stephany, Mailchimp is a great tool, so you can try it for sure.